The latest Lake Minnetonka real estate news recently included the U.S. Department of Housing and Urban Development (HUD) issuance of new regulatory guidelines to the Fair Housing Act. The new guidelines more closely quantify and qualify “those actions or policies by landlords, property managers, real estate agents or lenders that could be classified as discrimination” against people protected under the Fair Housing Act. Under the new regulations, HUD is able to charge those in violation of the act and have the U.S. Department of Justice (DOJ) represent the complaining party. Violations carry with them the possibility of damages paid to the complainant in addition to potential civil penalties and applicable punitive damages as determined by the court. So, what’s behind the new regulatory guidelines and why are they in the latest Lake Minnetonka real estate news? 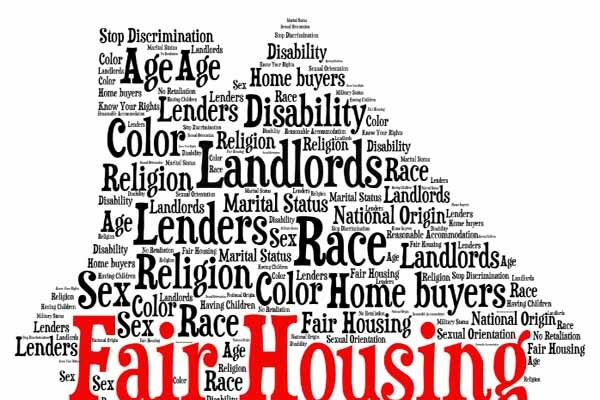 Experts say clarification is an important addition to the Fair Housing Act because such measures help to better define discrimination in housing, and to close potential loopholes to provide equal housing opportunities to all U.S. residents. Furthermore, with home ownership at its lowest rate in over 50 years, more and more people are renting. HUD wants to make sure property managers are well-versed in the guidelines and their ramifications. With more people renting now than owning, HUD is aware that the ongoing relationship between the housing provider – the landlord – and the property manager extends longer than that of a real estate agent or mortgage lender. In comparison, while an agent’s or lender’s involvement with a person protected under Fair Housing ends upon completion of the transaction, the landlord and property manager interaction continues throughout the term of a lease. In addition, according to experts, many housing providers and landlords are not "up to speed" on the Fair Housing Act regulations and are not complying as a result. Enter HUD to start better policing the industry. The prognosis seems to be clear. Fair Housing Act regulations will likely continue to be part of the latest Lake Minnetonka real estate news. The government, it appears, will add more layers to the Fair Housing Act in an effort to ensure those protected under the Act will not be subject to discrimination. While it’s a noble, admirable end – nobody should be a party to discrimination – the means to that end remain bureaucratic, arbitrary and borderline overkill. The latest Lake Minnetonka real estate news is that we can expect Fair Housing Act regulations to get broader to encompass more aspects of rental real estate and housing. See more articles pertaining to the latest Lake Minnetonka real estate news in the section of articles on Lake Minnetonka Real Estate News just below Lake Minnetonka Real Estate Categories in the column to your right. And remember, we also post tips daily on Facebook and Twitter. Check us out there as well.